Most notably, one Arizona man says that he got back normal results from his Theranos blood tests (done at Walgreens, which has since severed ties). After reading the tests, his doctors told him he didn’t need to change anything. Then he had a heart attack, less than a month later. 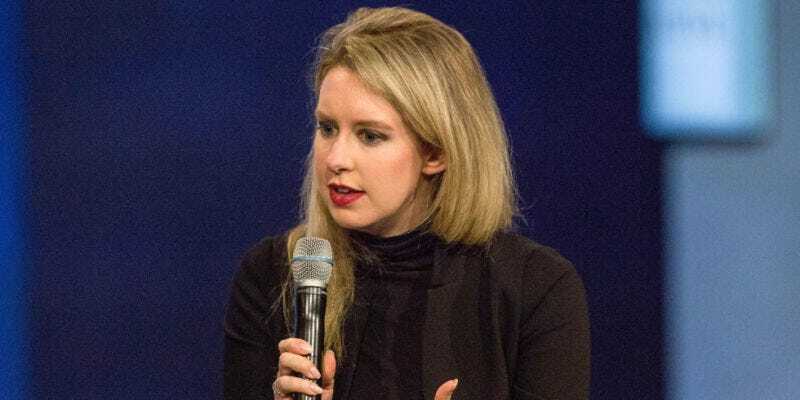 According to the lawsuit, additional (read: legit) blood tests suggested the Theranos one was inaccurate and that correct blood tests could have prevented the heart attack. The full lawsuit is here. It’s unclear how true that may be, or if one month of healthy efforts would have prevented the heart attack. Still, it’s the most dire example of Theranos was playing fast and loose with people’s health, which led it to void two years of blood test results. The company is now facing nine civil suits, including the Arizona one. In the Arizona case, R.C. is seeking class-action status in addition to damages and punitive charges. Meanwhile, a Theranos adviser published an op-ed saying he is looking forward to being part of the “strong and exciting future ahead” for the company. Speak for yourself.